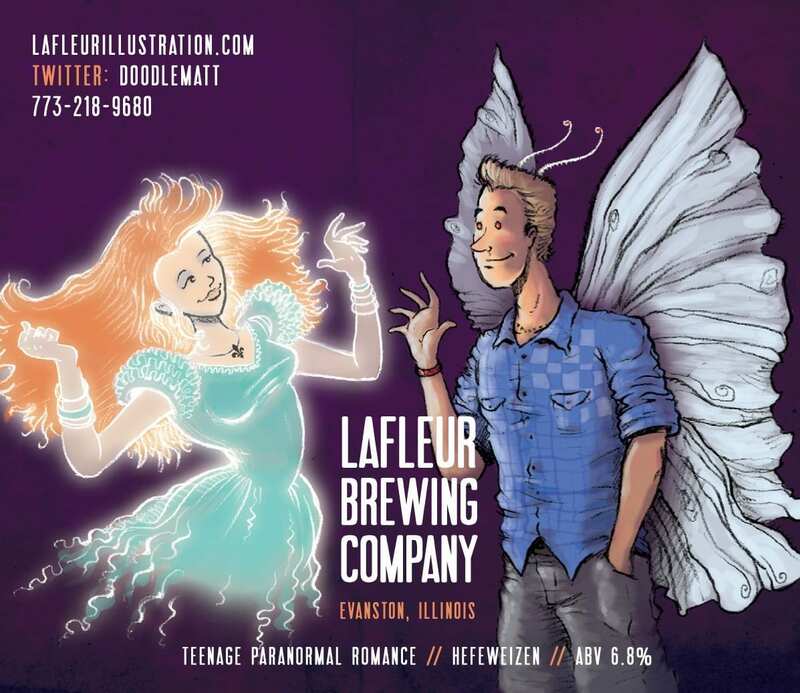 Artist Matt LaFleur has only done a few labels to date, but rest assured, you’ll be seeing his work grace the labels of your favorite libations for quite some time. 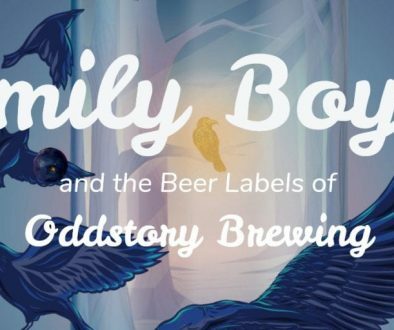 His passion for beer culture, his sense for the power of the label in marketing, and his illustrative talent combine into a powerful force for awesome on the shelves of your favorite beer store. 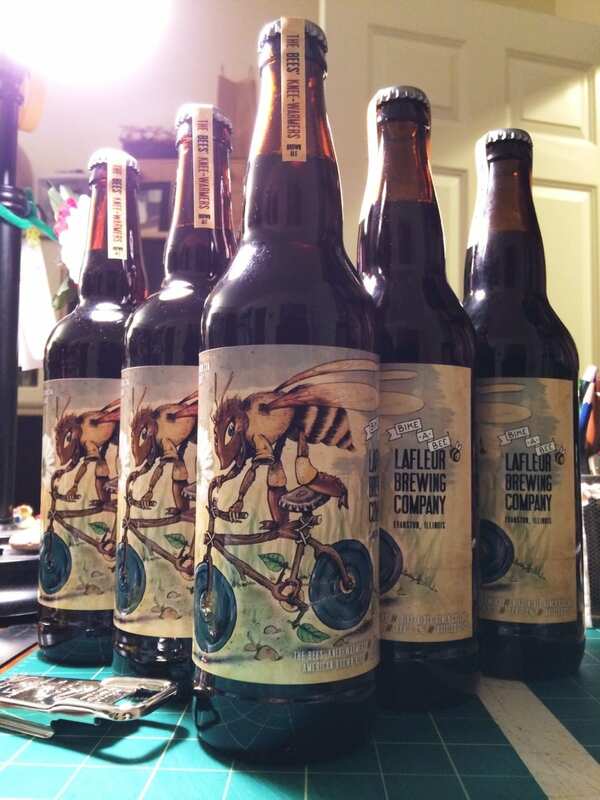 UPDATE: I’ve added images of the labels Matt has done for his own homebrews to this post. 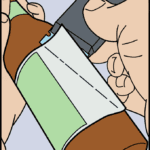 Beer Labels Art: How did you get started making labels for Arcade? Matt LaFleur: In the interest of full disclosure, this was a competition. 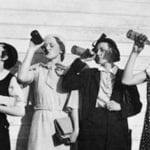 It was Arcade Brewery‘s first “public brew.” More on that in a bit. I first met Chris Tourre, a co-founder of Arcade, at the Beer Hoptacular that took place at the Aragon Ballroom., November 2011. There, he had a table, some stickers, an arcade game cabinet, and a vision. We chatted for a bit, I took a sticker, and lost track of Arcade shortly thereafter. They conducted a successful Kickstarter. They then announced the label design aspect of the competition. 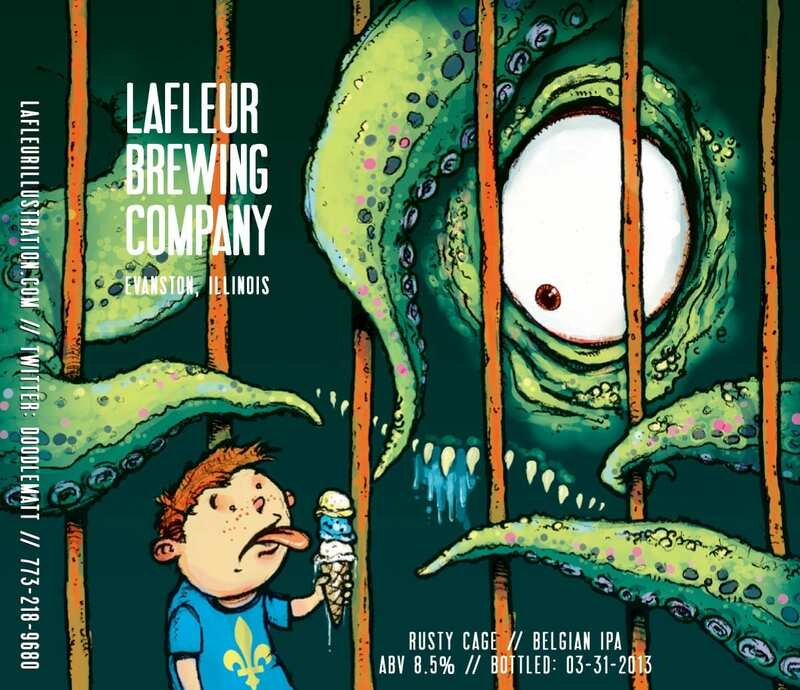 They wanted folks to submit art that best illustrated this beer and this name. I was not going to play along. I mean, with a name like that, what the Hell would I illustrate? I was done. Had a couple of beers. Took myself for a walk, and was ready to go to bed. My brain. It doesn’t let things go. I quickly sketched up my idea, scanned in the pencil drawing, colored it in Photoshop, and submitted it only a couple of hours before the deadline. I was pretty excited when Lance Curran, the other Co-founder of Arcade and someone I followed on Instagram, posted the image minutes after I sent it in. 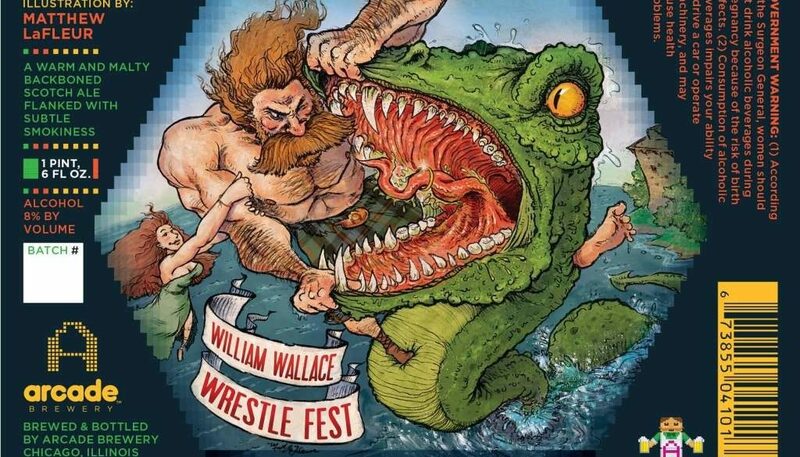 BLA: Can you tell me the story behind the conception of William Wallace Wrestle Fest? 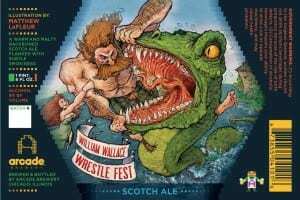 ML: Who would William Wallace wrestle? Or what? My brain tends to find stories where there are none. The Loch Ness Monster. 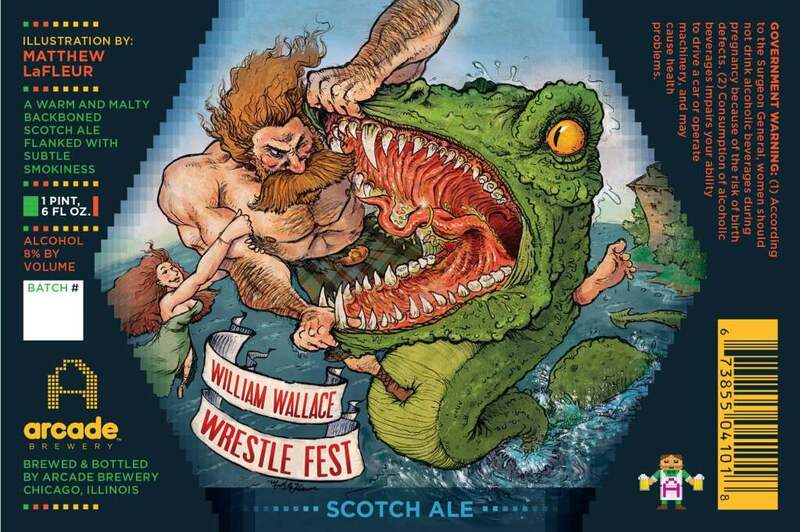 I had an image of William Wallace prying open the mouth of Nessy. Cool. I sketched that on a scrap piece of paper. Ok, why was he doing this? 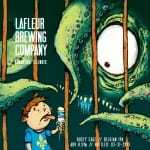 Why would any man pry open the mouth of an elusive, giant, underwater creature? Because Billy had been on a date with his favorite woman, in a small rowboat in the Loch. He gave her a bracelet of gold as a token of his love. As she accepted his gift, something bumped the small rowboat, causing her to drop the band into the water. The monster blasted through the surface of the water, nearly swallowing the bracelet. 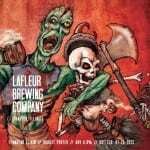 BLA: What is your favorite label you’ve done so far for Arcade (or any brewery) and why? ML: I feel good about saying that the Arcade WWWF label is my favorite that I’ve done thus far. This allowed me the most freedom to take a seed of an idea and go absolutely nuts with it. But I’ve only done three. 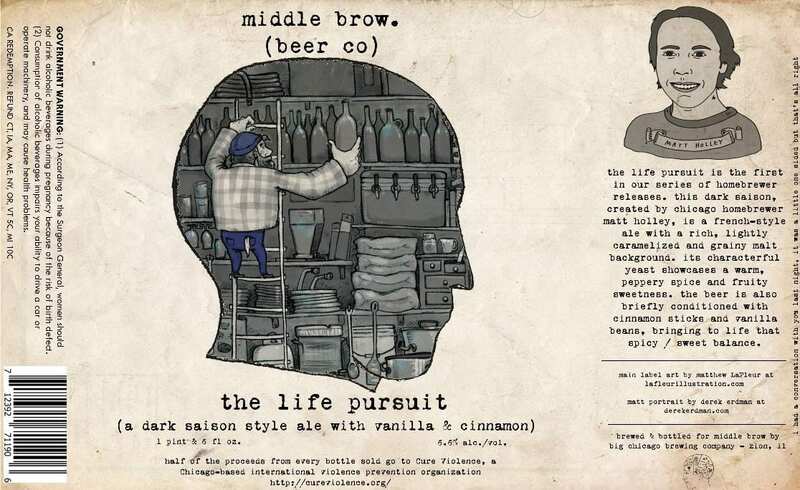 After being declared the winner of the competition after a week of voting on Facebook, I was contacted by Middle Brow Beer Co. to work with them on their debut beer, “The Life Pursuit,” the label fo which is a tribute to homebrewers with a dream. A few moons later, Christopher Betts of Transient Artisan Ales emailed me to give his brewery’s existing logo a reboot. 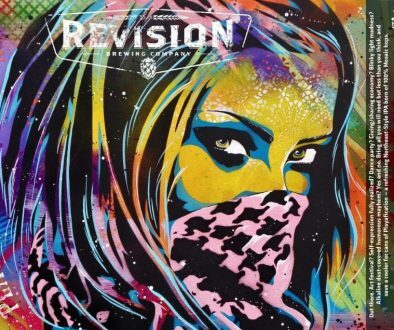 This has become the dominant art on the bottles of his debut membership beers. 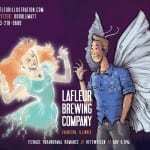 I am also a homebrewer. 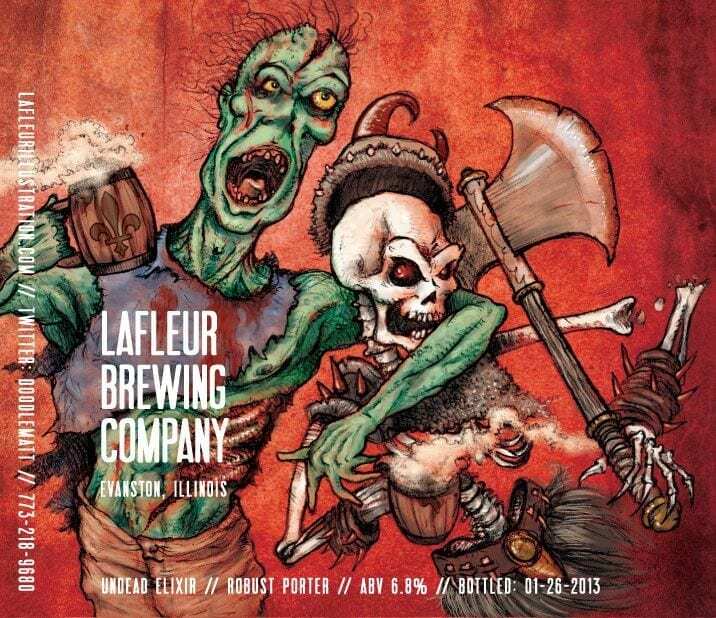 I thoroughly enjoy illustrating the labels for my beers, almost more than the brewing itself. 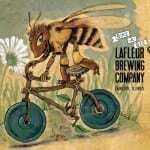 I just bottled The Slaughtered Hop, a harvest ale brewed with fresh cascade hops grown in Evanston. This is the third year that I’ve made this beer. ML: I grew up in rural upstate New York, “nestled between the St. Lawrence River and the foothills of the Adirondacks.” It says that on a brochure somewhere. While enjoying Garfield, reading comic books and playing RPGs, and having some great, imaginative, talented friends, I sketched and drew. All the time. I went to Syracuse University (ORANGEMEN!) where I earned a BFA in Illustration while studying from some amazing and wacky professors/illustrators. ML: I consider myself pretty versatile. I’ve done work for books about baseball trivia, who-done-its, young adult fiction, and a children’s book is on the not-too-distant horizon. I’ve done illustrations for magazines, logos, tshirts, and posters, like the one for a homebrew competition at the Facebook headquarters. I am also a chronic doodler, and I have an infrequently updated doodle blog called The Doodle Deli. BLA: How can your fans find you and your work? Can they buy your art? I have some of my art available for purchase on Big Cartel, prints and originals. BLA: Optional: True or false? 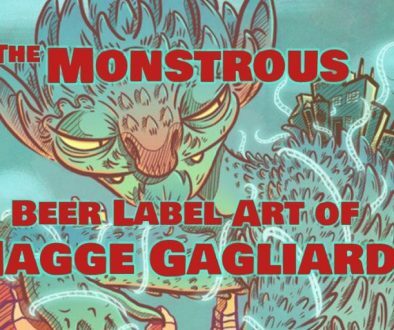 The best beer label art looks like it could also be Magic: The Gathering card art. ML: False. 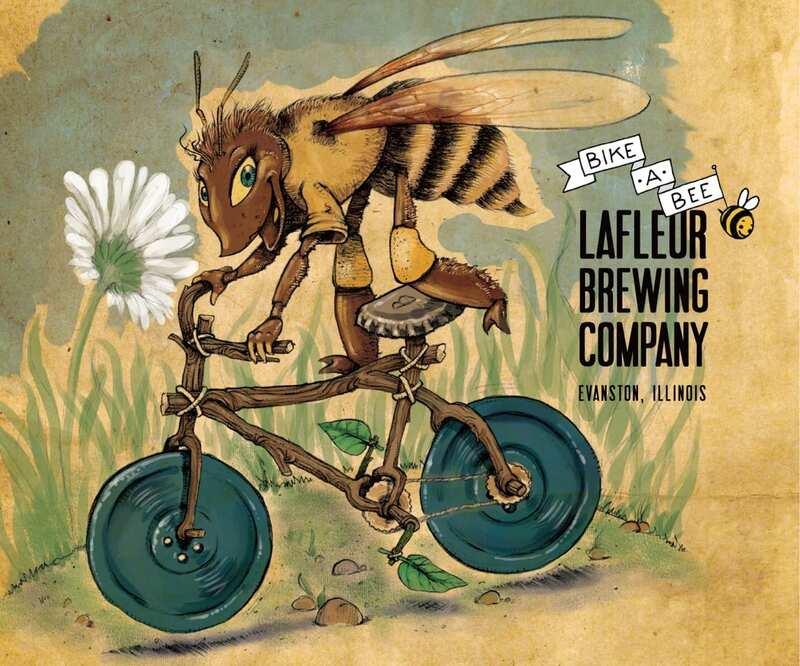 The best label art makes people want to buy and drink that beer. 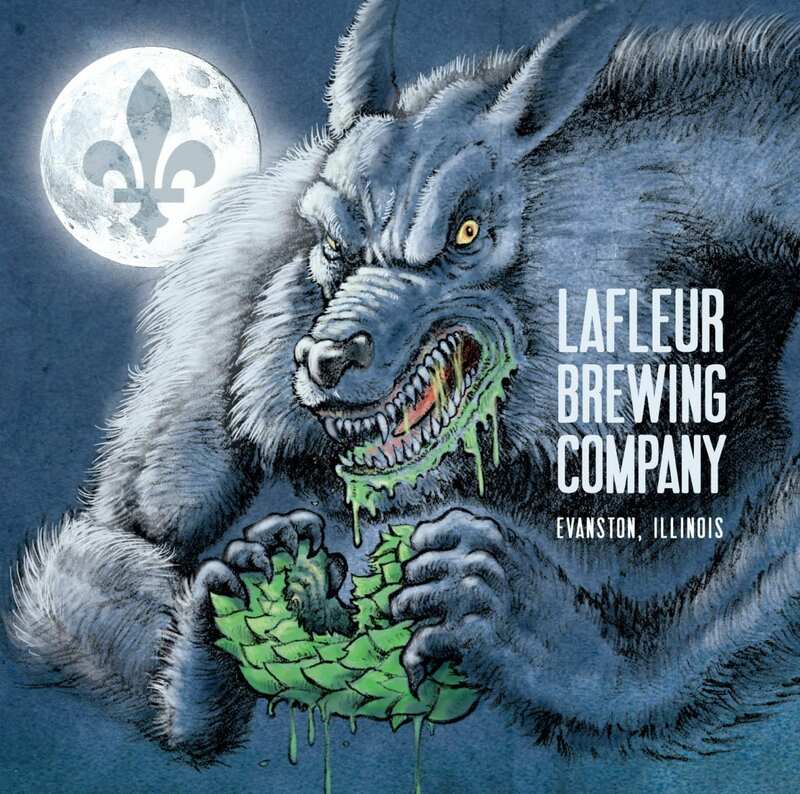 You can have scary death skulls from Three Floyds, alien abduction and unicorns from Pipeworks, surreal black and white madness from Solemn Oath, or sublime tranquility from Une Année. 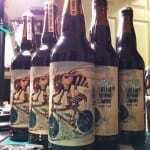 All that matters is will it make people buy the beer? 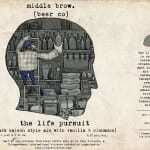 If my art helps to sell some delicious brew for Arcade, Middle Brow, and Transient, my work here is done.